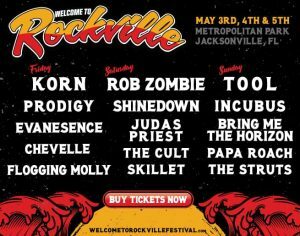 Are you ready to rumble? UDON Entertainment is proud to be a Silver Sponsor for 2019’s Free Comic Book Day, with an all new Street Fighter adventure! 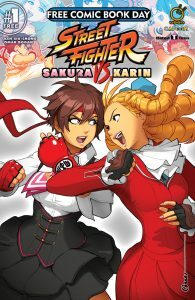 Street Fighter: Sakura VS Karin #1 will be available, for free, from local comic shops on Saturday, May 4, 2019. They’ve been adversaries since high school, but now Sakura and Karin’s rivalry enters a new arena – the arcade! Martial arts meet e-sports as two of Street Fighter’s fan-favorite femmes battle it out through both jabs and joysticks! It’s all-new action in UDON’s newest Free Comic Book Day adventure! The deadline to order STREET FIGHTER: SAKURA VS KARIN #1 FCBD through Diamond Previews is January 24, 2019. Additionally, UDON is excited to announce a series of four more Street Fighter one-shot comics to be released in March, April, June, and July 2019. These titles will kick off with STREET FIGHTER: MENAT #1 in March 2019. Look for more details soon on the other Street Fighter characters to be spotlighted in these one-shots! 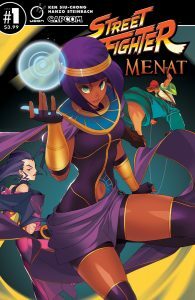 Meet Menat, the enigmatic Egyptian fortune teller on a quest to avenge her master’s death. But it’s not just any villain Menat is seeking… it’s the Dark Lord of Shadaloo himself – M.Bison! The deadline to order STREET FIGHTER: MENAT #1 through Diamond Previews is January 24, 2019. Including the Free Comic Book Day issue, UDON’s 2019 Street Fighter comic season will have five titles total. Keep your eye on UDON’s social media for new challengers approaching your local comic shops in April, June and July (titles and covers to be released once finalized).